TDJ Construction are a small local construction company operating throughout Northamptonshire, Cambridgeshire, Buckinghamshire and Leicestershire and delivering First Class workmanship and service. We offer a wide range of services, some of which are detailed below, if the work you’d like doing isn’t on the list, please contact us to discuss your plans and ideas. Here at TDJ Construction we are always looking for innovative ways to provide a more efficient, affordable and profitable business to you the end customer, whether that be Commercial or Domestic. Investment in ourselves is key to our operations and this year we are investing heavily in some new vehicles and machinery to boost our productivity which in turn will be advantage over our competitors and savings in costs which will be passed on to our end customers. Our pressure washer can clean up even the most stubborn stains on patios and driveways. We can now chip your green waste into something more manageable. Our pressure washer, capable of 200 bars of pressure. 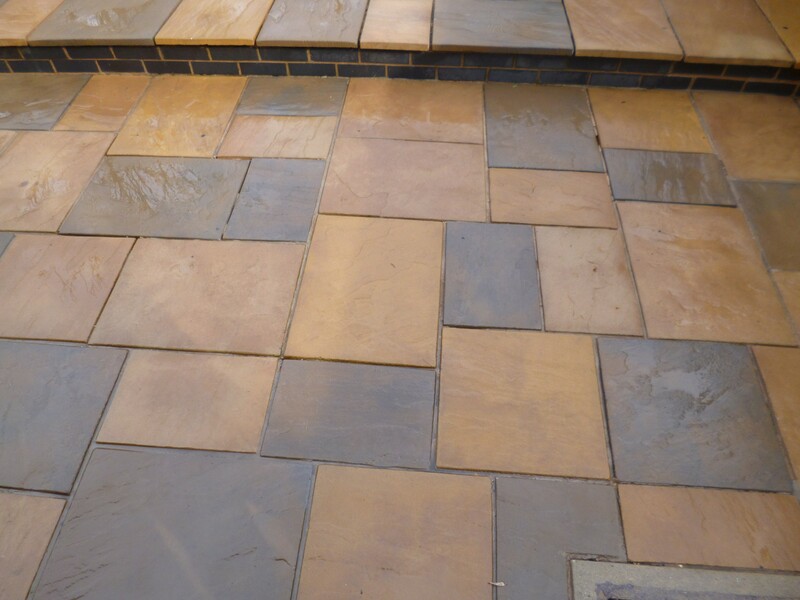 We are constantly asked about pressure washing whilst undertaking works for customers which we were able to provide by the use of sub- contractors. 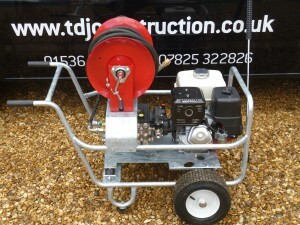 By purchasing our own brand new machinery we are able to provide this service directly to you. Our new machinery has enough power (200 bar) to clean up even the most stubborn of stains on almost everything from drives to patios etc. If access is an issue, no problem as this pressure washer can fit through a standard door or gate comfortably. 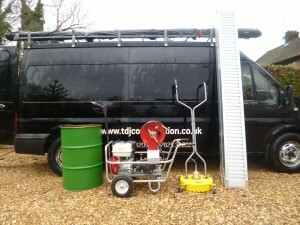 If access to mains water is an issue, we have the necessary equipment to carry a 1000 L at any one time. Please bear in mind it is more cost effective to have access to water directly from your mains. 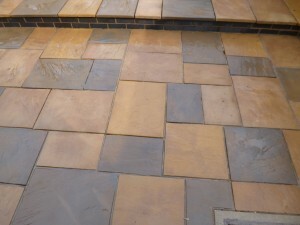 You can view some examples of our pressure washing of patios and also pressure washing of concrete pathways on our blog. 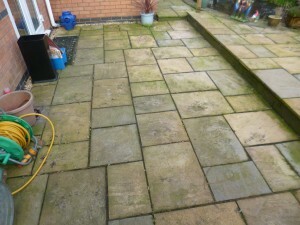 This is an image of the patio before pressure washing. A view of the patio after it has been pressure washed with our 200 bar pressure washer. 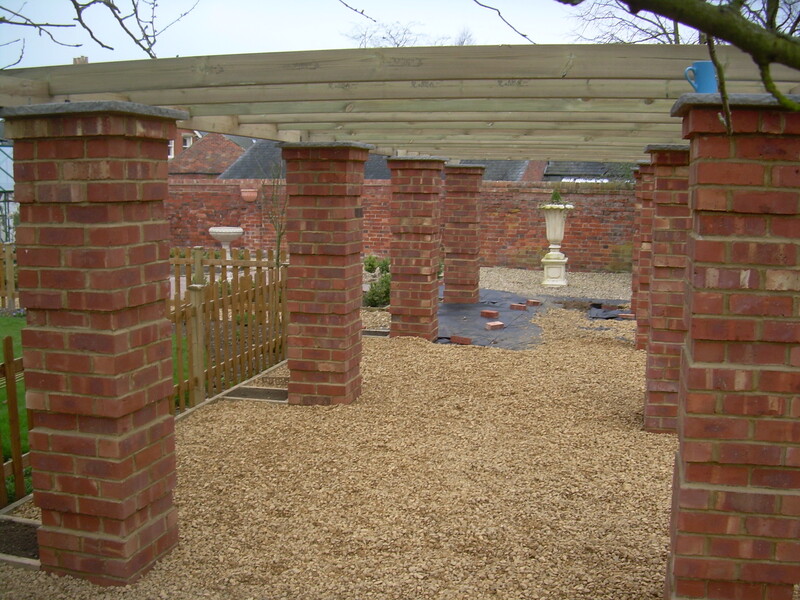 Quite often we are asked to undertake the almost impossible task of landscaping properties that have been neglected for many years. Up until now that has been challenging and anything to speed up this process must be considered. One of the main issues was the cost of removal of green waste. We were charged by the van or occasionally skip load to remove this waste to landfill or for recycling. 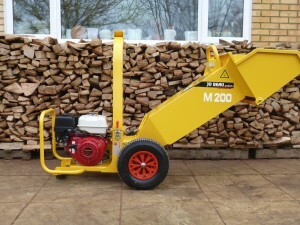 With the purchase of our new wood chipper we are able to chip your green waste in to something more manageable for removal or we can leave on site for your own needs, thus an end saving to you the customer. Wood chippings once rotted down can provide nitrogen and carbon richness back into your soil helping your flowers and shrubs flourish, also can help with weed suppression. Our new wood chipper is designed especially to fit into most properties where access is an issue. Repointing is one of our most successful areas in business, so investment in the right implements to undertake these works is key. We’ve just invested in a dust extraction unit to compliment our other tools to undertake these works more effectively. Dust can be a nuisance for both us and you. Our dust extraction unit can cut down the amount of dust produced from the repointing process by up to 70%. We are the only local company to offer this process as standard. You can view some examples of some of the repointing work that we have done for our customers on our blog. We’re able to clear your gutters, by removing all debris, allowing your guttering to flow correctly. We also have a dedicated crew who are able to not only to clear your gutters but also clean them by removing dirt and grime. This includes Soffits, Fascias and Conservatories too. Contact us and please specify if you require your gutters cleared or cleared and cleaned. 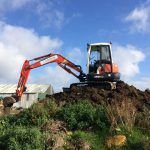 Our Excavator which is available for hire with driver. 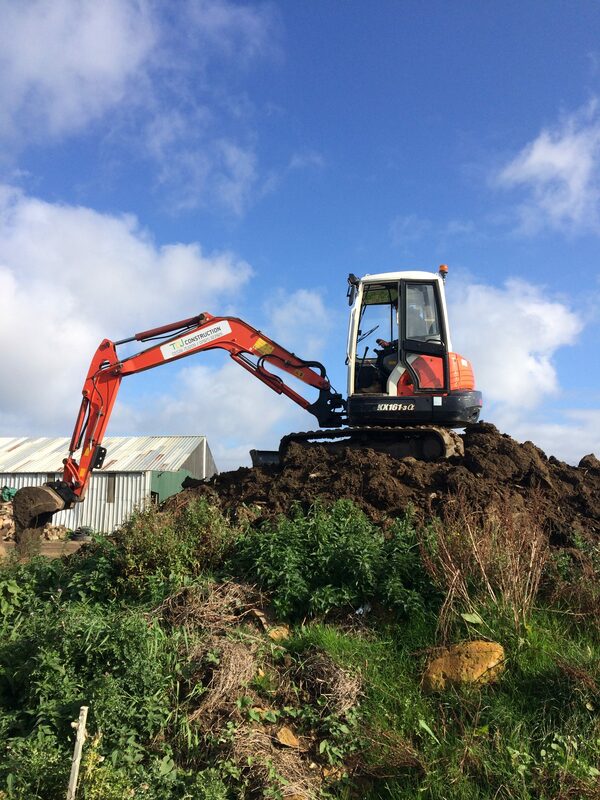 We also offer our excavator and driver for hire. Our excavator is suitable for a wide variety of requirements and projects. 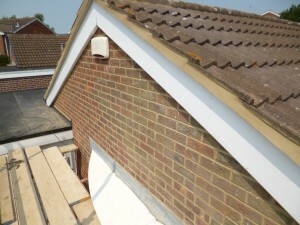 This was a repair made to badly damaged brickwork and verges. If there is something you would like done not included on the list please contact us and discuss your plans and ideas.